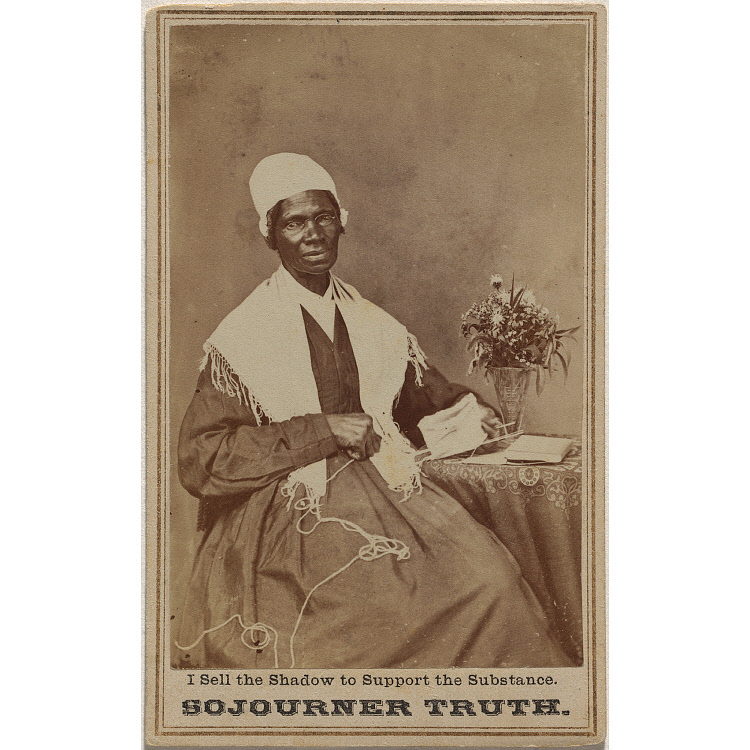 In 1843 ex-slave Isabella Baumfree obeyed God’s personal commandment to her, changed her name to Sojourner Truth, and became an itinerant preacher. She quickly developed into a major attraction on the revival circuit for the power and ingenuity of her prophetic speeches. Her life history drew her into abolitionism, and she entranced antislavery audiences with her personal testimony. Like Frederick Douglass, Truth was a charismatic figure because she was not a victim but a leader and a powerful example of African American womanhood. As she concluded a compelling oration on women’s rights, "I could work as much . . . and bear the lash as well [as a man]—and ain’t I a woman?" To finance her speaking tours, she sold copies of her ghostwritten autobiography and photographs of herself, such as the one seen here.